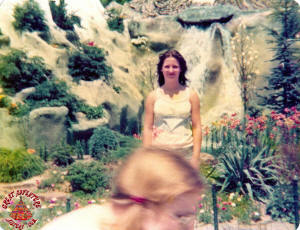 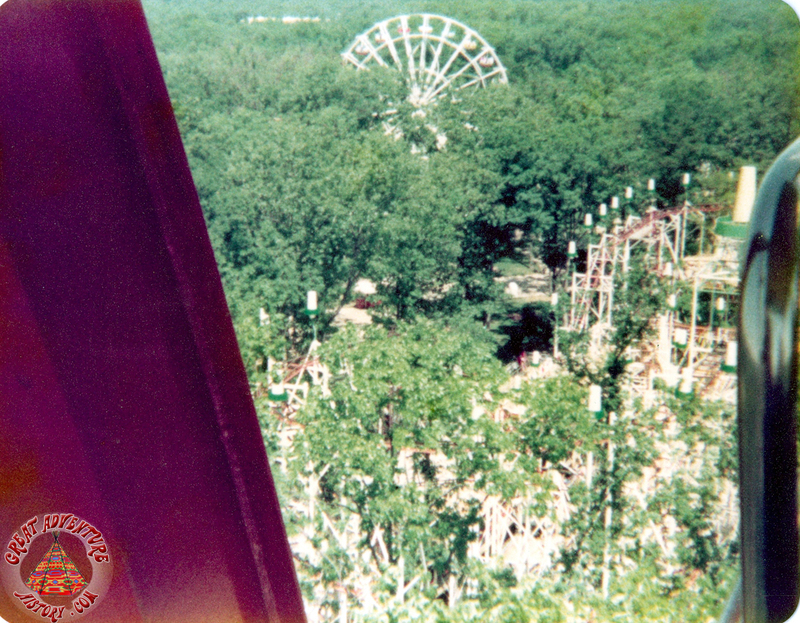 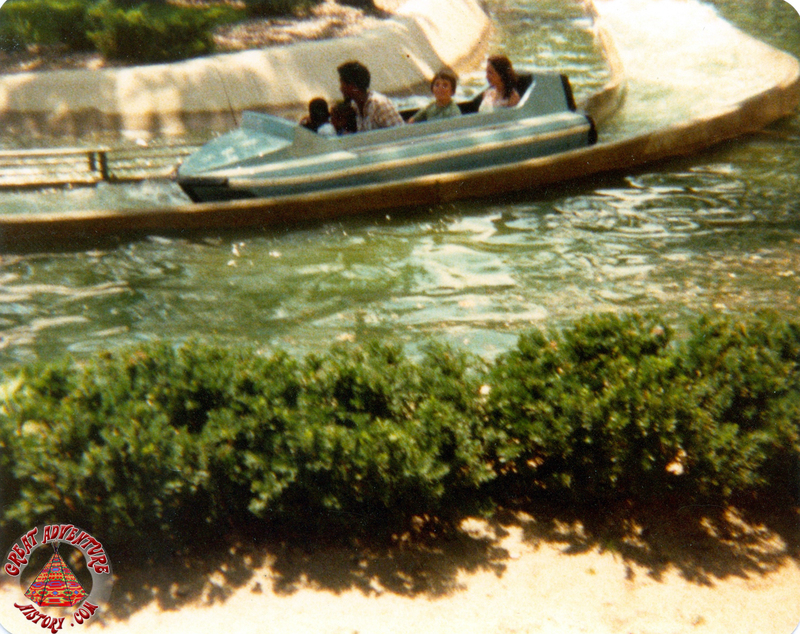 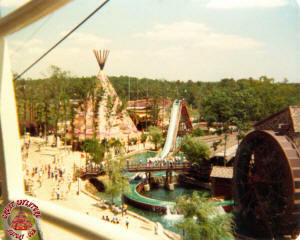 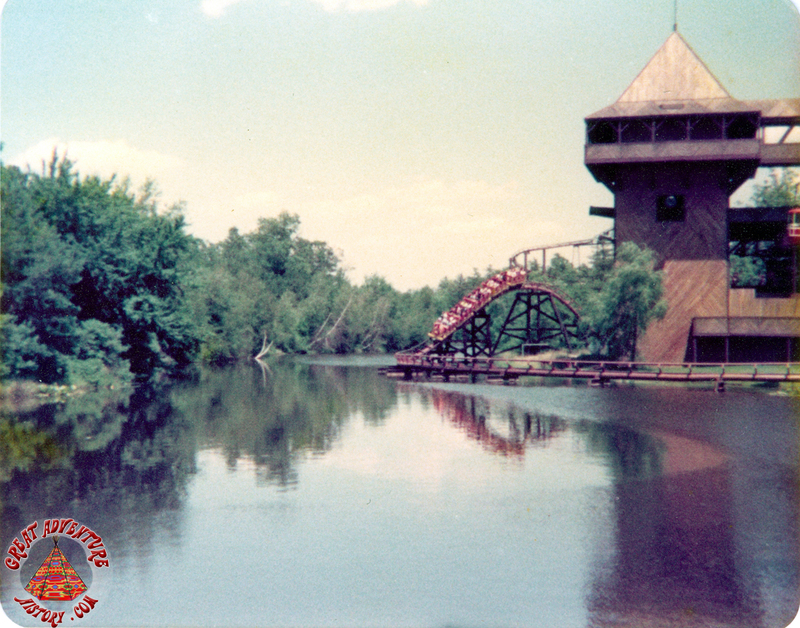 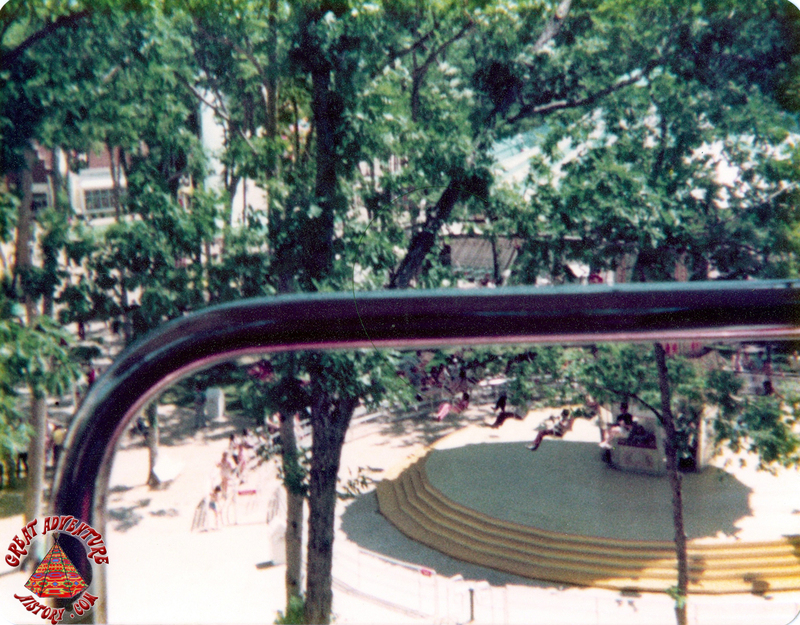 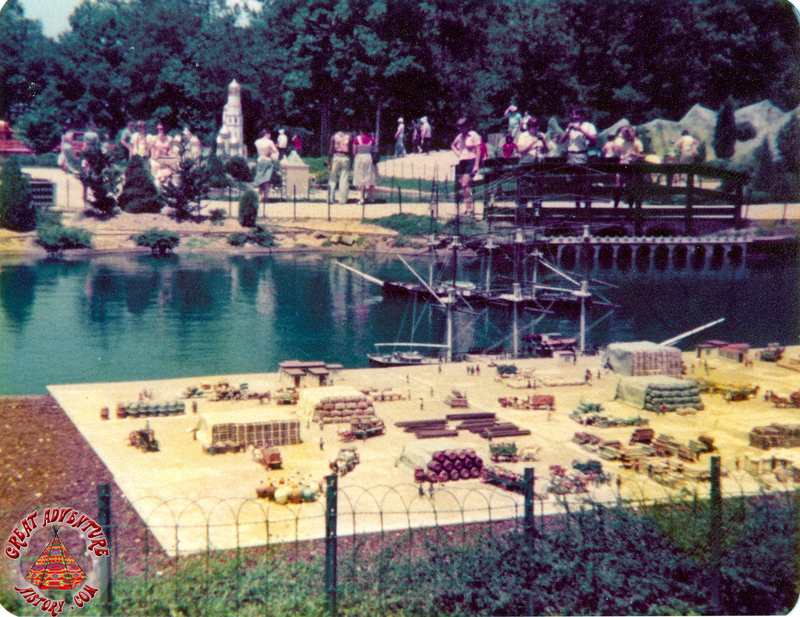 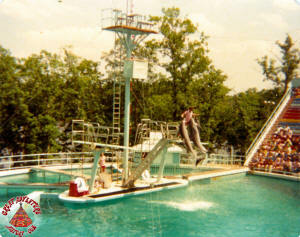 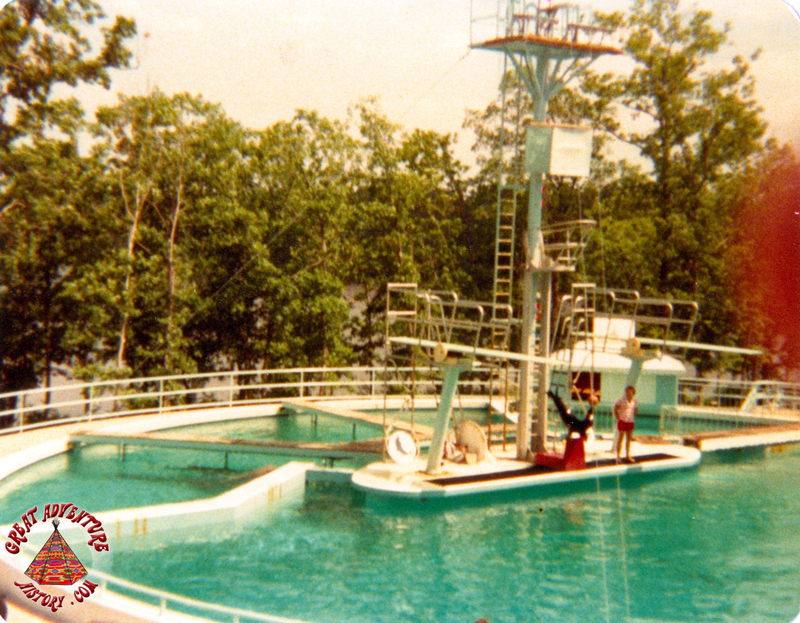 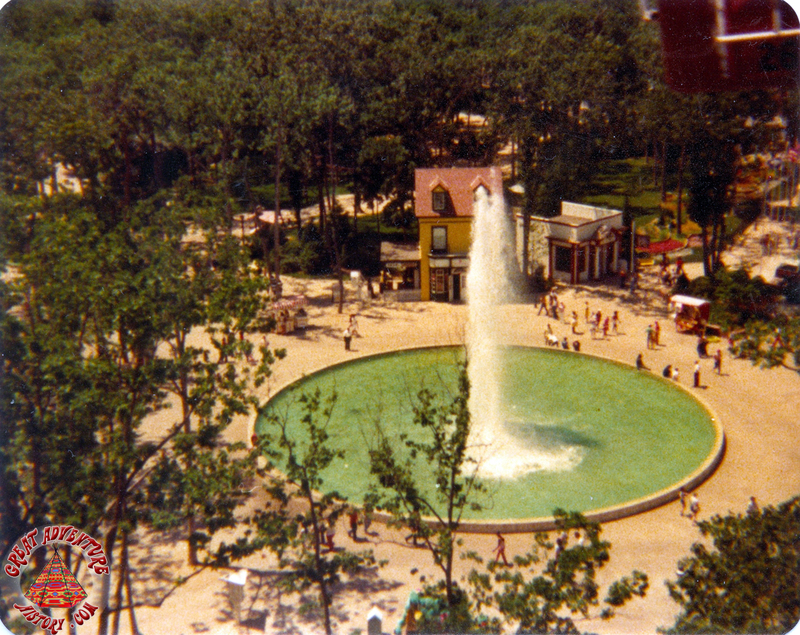 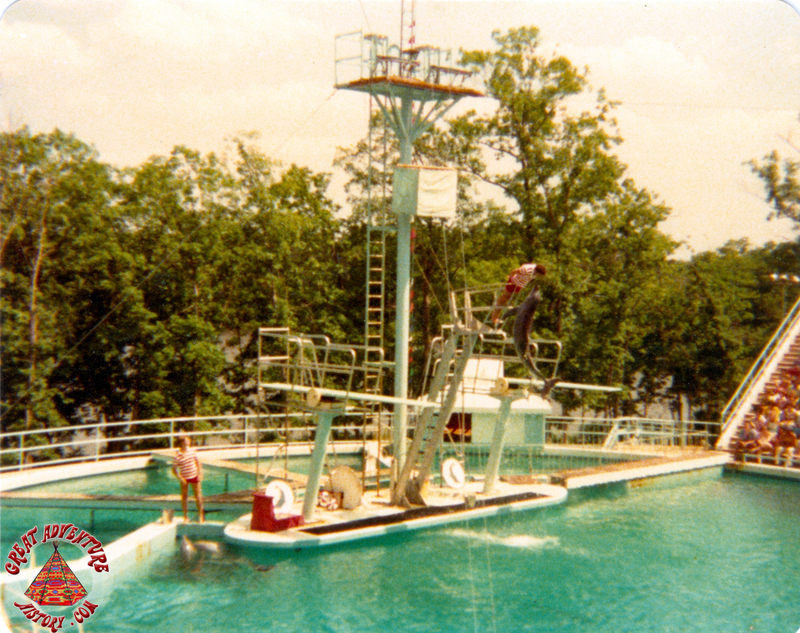 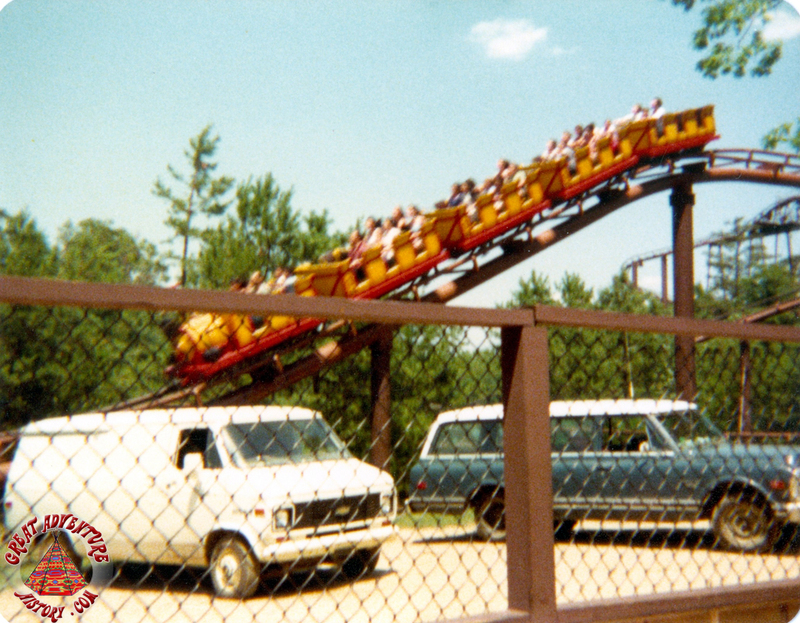 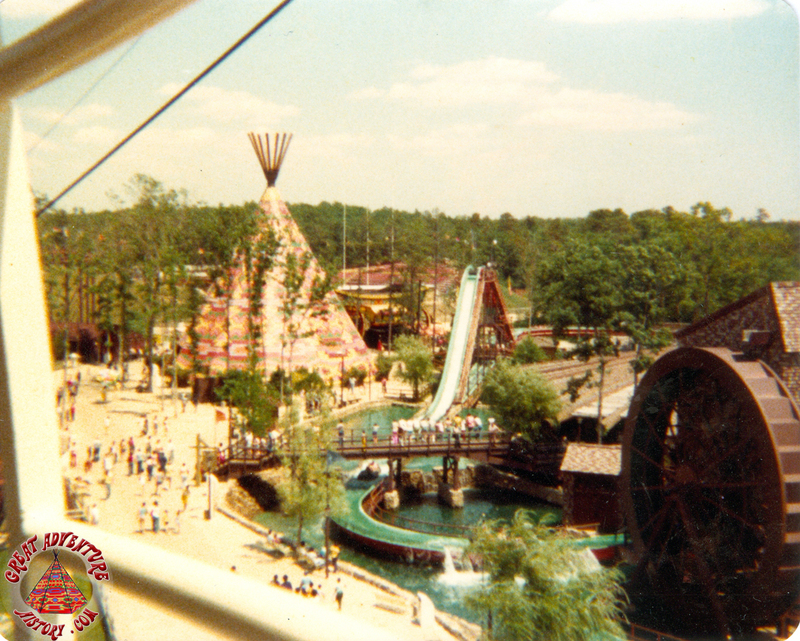 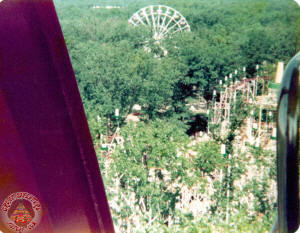 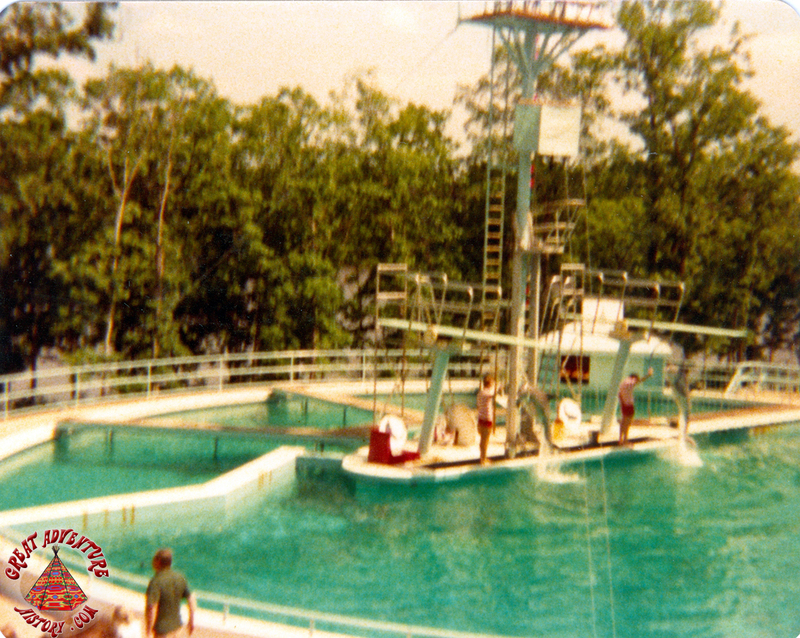 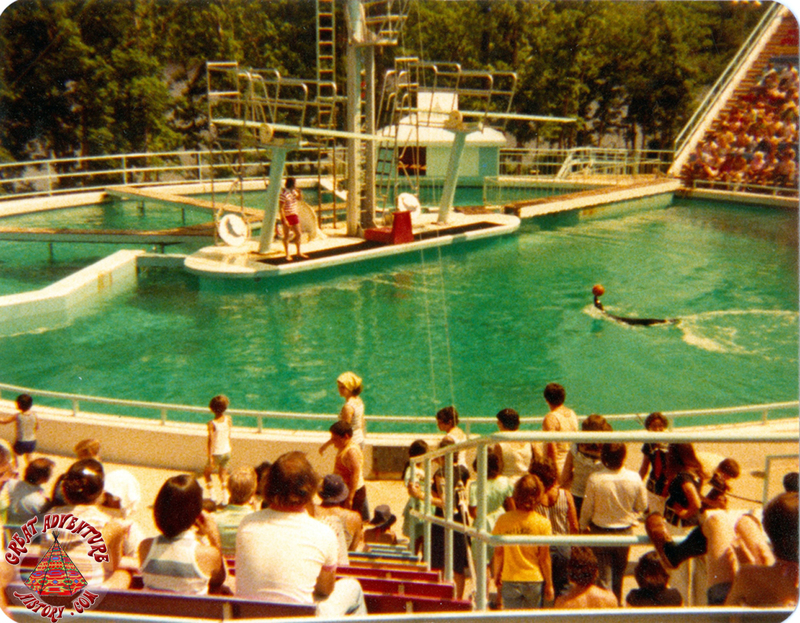 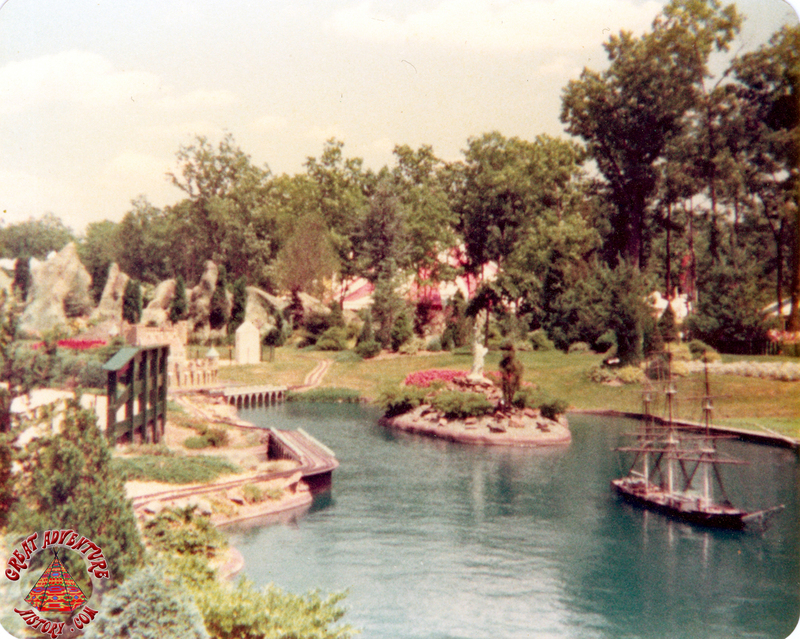 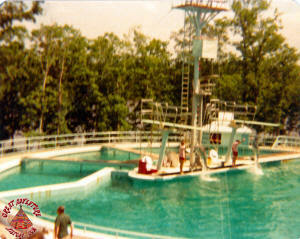 A family's day trip to Great Adventure during the July 4th weekend in 1977 is captured in the photos below. 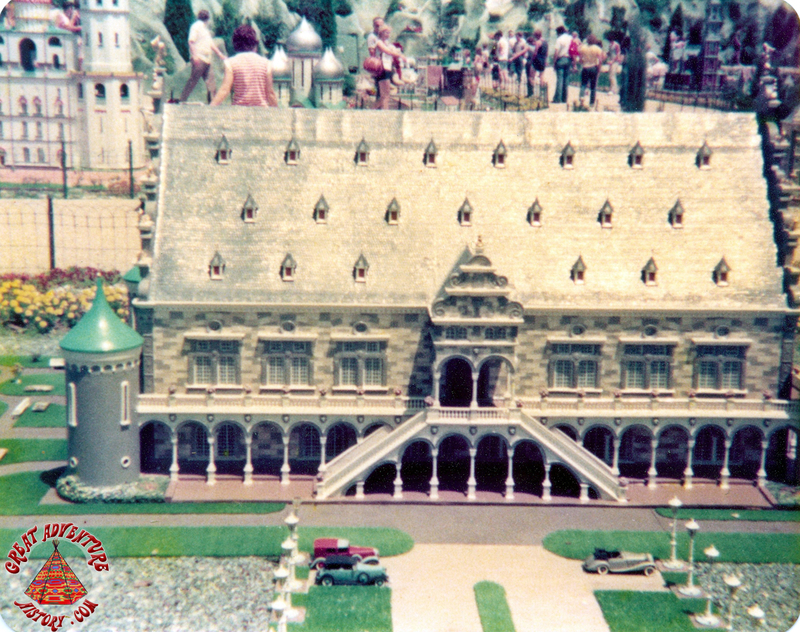 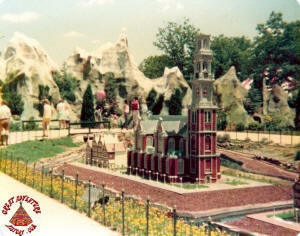 Highlights of their visit included a tour of the Garden of Marvels miniature village, shows at the Aqua Spectacle, and some views from atop the Giant Wheel and Skyride. 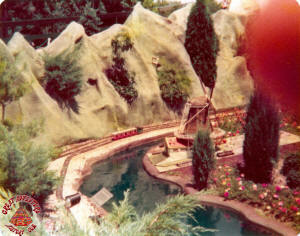 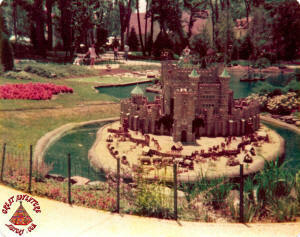 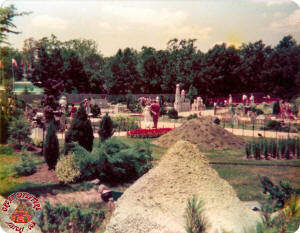 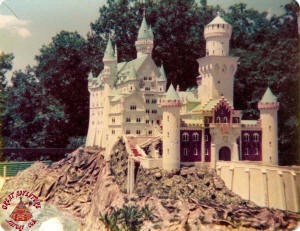 The Garden of Marvels was a scenic wonder with plenty of photo opportunities throughout the miniature village. 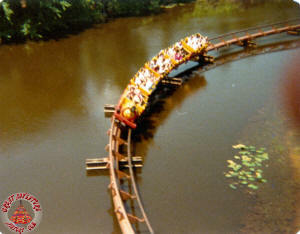 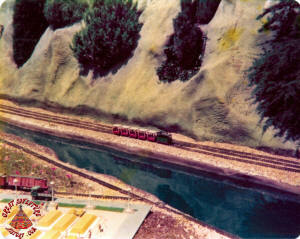 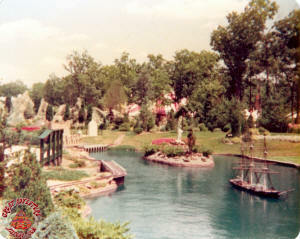 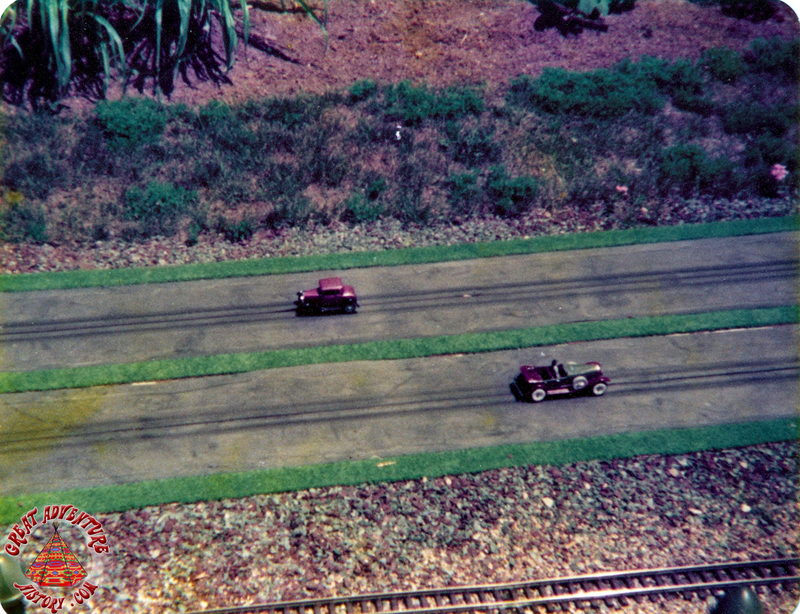 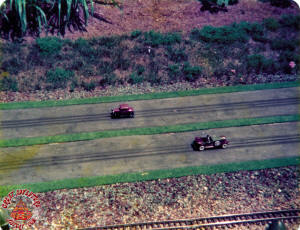 Moving boats, trains, and automobiles brought the Garden of Marvels to life with constant motion and lifelike accuracy. 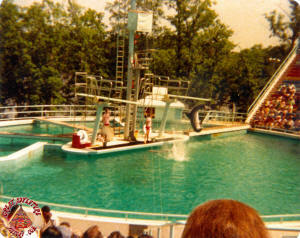 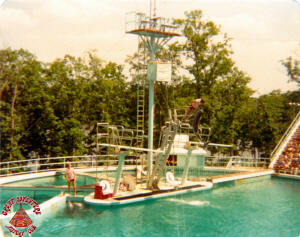 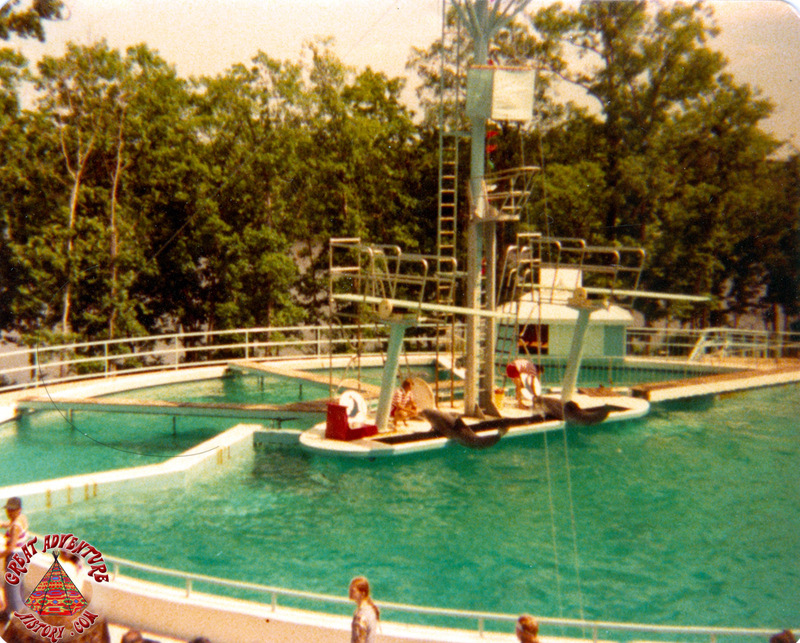 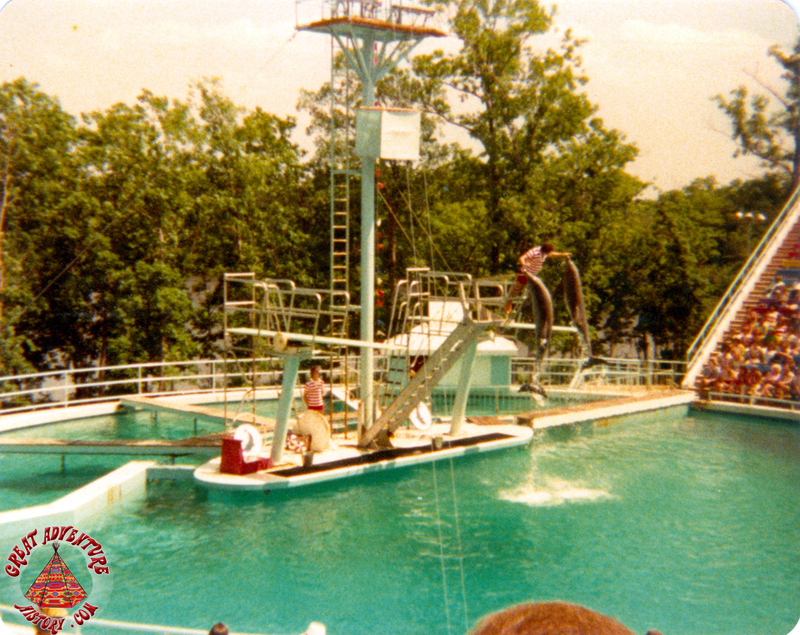 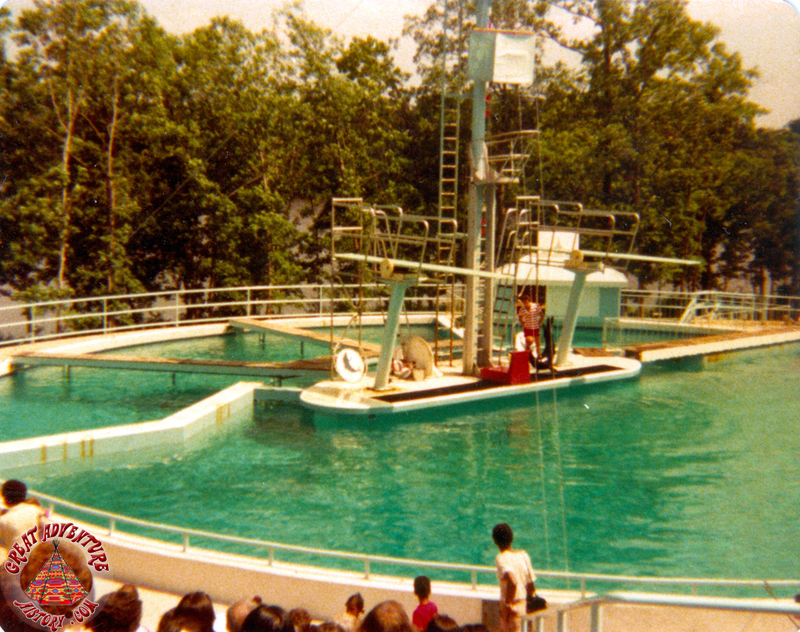 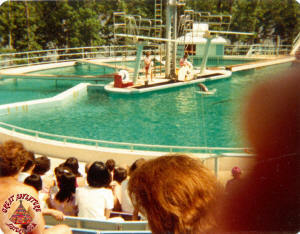 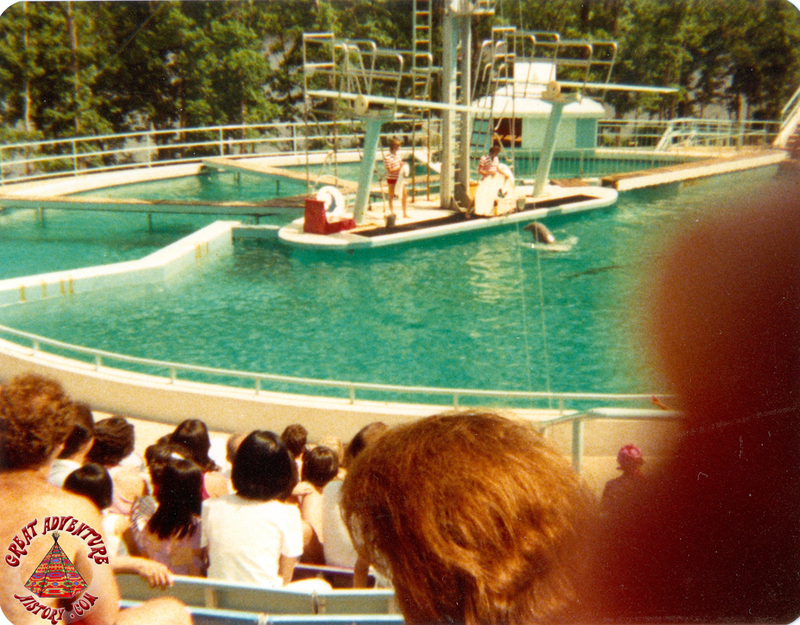 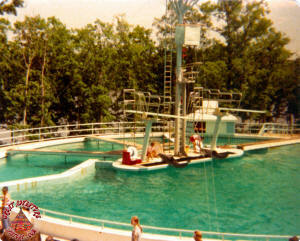 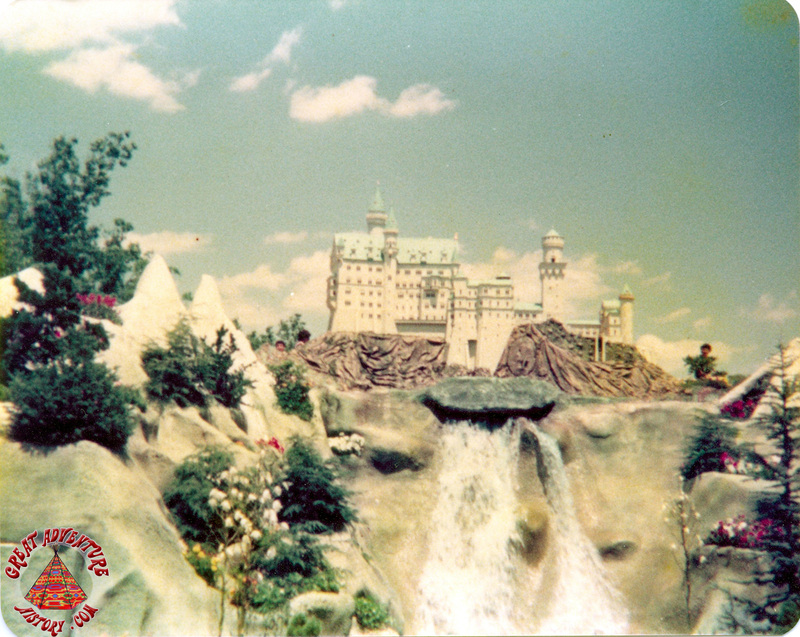 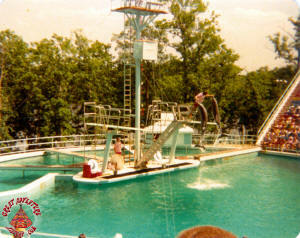 The Aqua Spectacle shows always provided an enjoyable break from a hectic day of rides at the park. 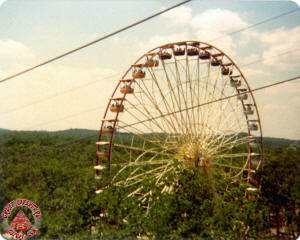 The Giant Wheel afforded beautiful views of the park. 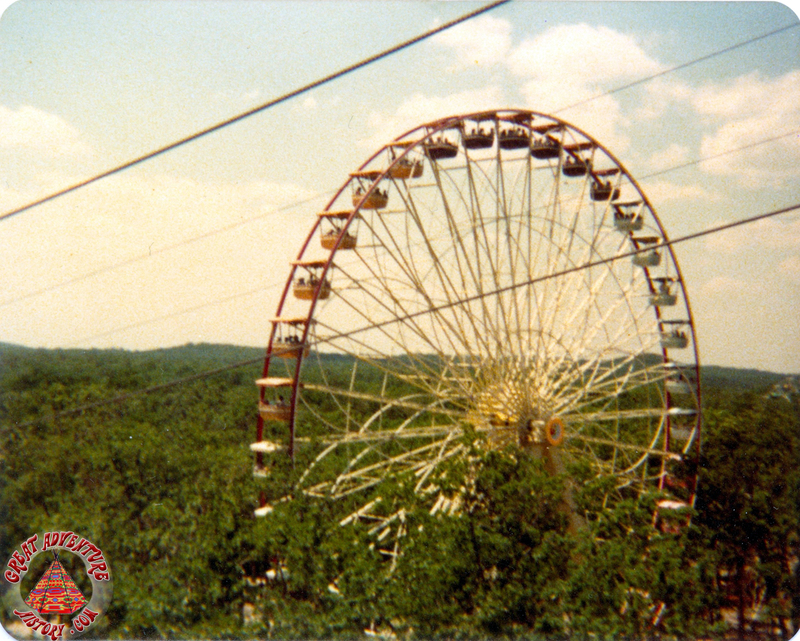 Note that the outer wheel was painted red back in those days. 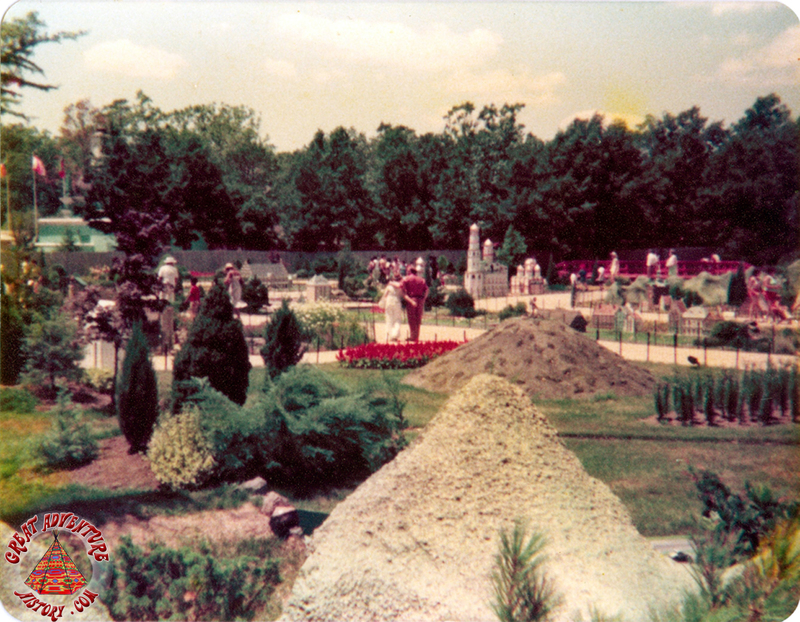 Prior to the shops, the park's entranceway was lined with lush flower beds. 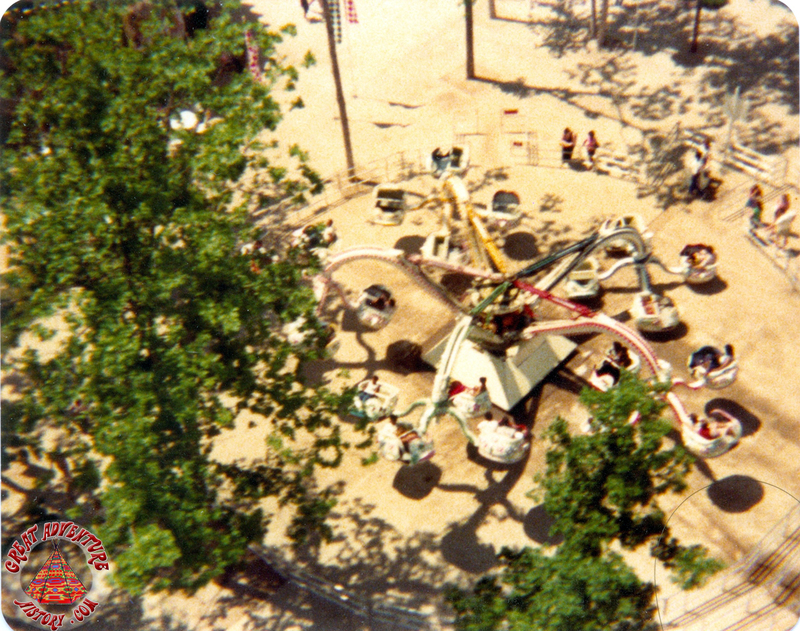 The Dream Street Dazzler whirled guests up and down near the Four Tents. 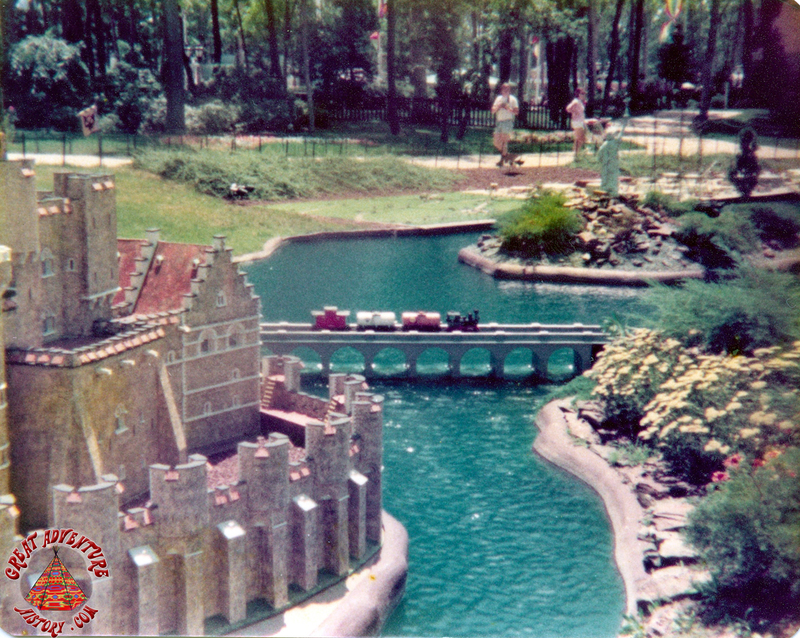 Always a favorite, the Runaway Train rounds the Fort on its way back to the station. A low wall topped with a chain link viewing window allowed guests to see the Runaway Train circle the Fort from the queue area.